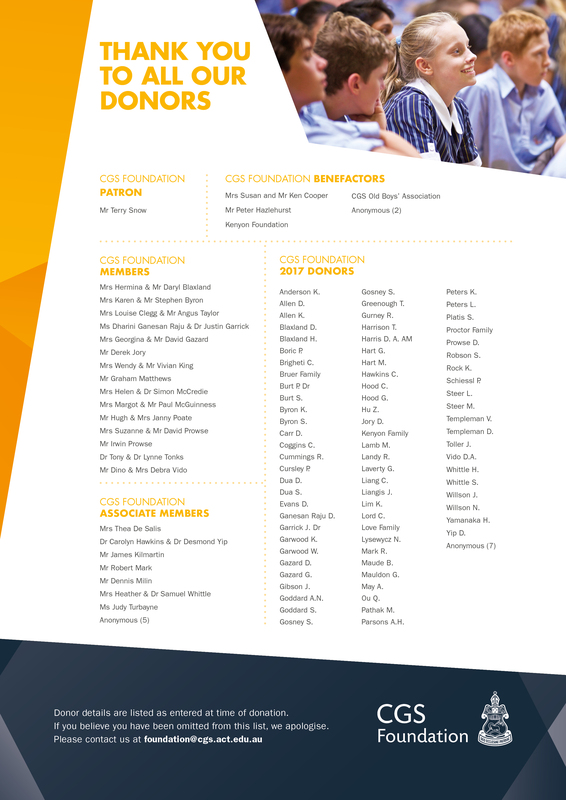 The CGS Foundation would like to thank the following donors for their generosity to Canberra Grammar School. Your support is enormously appreciated and directly benefits CGS students. It is an immense privilege to be awarded the Ann Jory Music Scholarship. 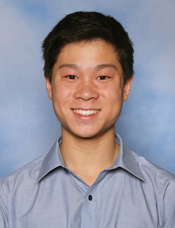 This scholarship recognises my passion for music, and inspires me to develop my organ-playing technique to an even higher calibre through opportunities such as accompanying School chapel services, concert performances and weekly church services. I would like to thank Mr Derek Jory for his support of the scholarship and I intend, as the recipient of his generosity, to further enrich the music scene at the School, in Canberra, and beyond.